have been known to invade structures like sheds, garages, and even houses in search of food and shelter. These furry creatures are typically non-aggressive and even play dead at the sight of humans, but they can become aggressive if they have their young nearby. Opossums are not naturally invasive, but because their natural habitat has shrunk due to increasing urbanization, they have become all too comfortable around humans. The close interaction between humans and opossums has led them into our homes, often with expensive consequences. Opossums commonly rifle through open garbage cans and other easily accessible food sources, leaving damage and messes in their path. Though opossum infestations have become more common throughout Southwest Florida, their shy nature means that they typically avoid areas of high human traffic and stick to attics and crawl spaces or garages where they can scavenge in peace. 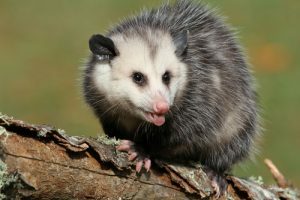 In addition to the danger they pose to your property, opossums have been known to carry infectious diseases like tuberculosis, which is why you should call for professional help at the first sign of their presence. When it comes to protecting your home from opossum infestation, trust the team at Critter Control of Southwest Florida to help. Our decades of experience and exclusive removal process ensure that the nuisance animals are removed completely while keeping your family out of harm’s way. For any questions or to schedule a consultation, call us today at 239-731-6255.